A Dalston off-licence is facing an uncertain future after an unannounced visit by the authorities uncovered a stash of illicit tobacco. 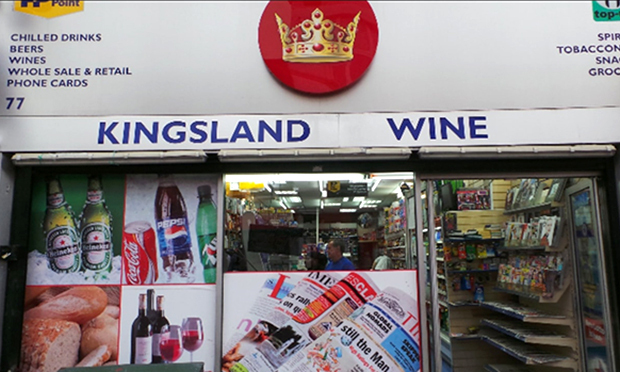 Following an anonymous tip-off, Hackney Trading Standards visited Kingsland Wine on 5 December 2017 in a joint operation with Her Majesty’s Revenue & Customs (HMRC). The investigation found a stash of ‘duty avoided tobacco’ in a covert hiding place above the door to the staff toilet, as well as a substantial quantity of foreign labelled tobacco under the counter. A total of 4,260 king-size cigarettes and 1.9kg of rolling tobacco believed to be “duty avoided” were seized. In a letter responding under caution to be considered by the sub-committee, designated premises supervisor Abdul Wahid said ‘that he was aware that he was in possession of illegally packaged tobacco and had tried to swap the non-standardised packaged cigarettes, but that some of the tobacco reps had not responded, so he got fed up of waiting and and started to sell the tobacco despite knowing it was illegal. Trading Standards state in the review that they had been alerted to the potential presence of illicit product in the area by “intelligence” from a tobacco company relating to a downturn in trade from nearby units known to sell genuine tobacco. Compounding the infractions to be considered by the sub-committee, Kingsland Wine were also found to be willing to sell alcohol to minors. The report states: “On Friday 16 March 2018 the Child Sexual Exploitation Team based at Stoke Newington Police Station carried out a test purchase with a 14-year-old police cadet volunteer and an undercover police officer who purported to be buying alcohol for the minor to consume. The licensing sub-committee will decide on whether to revoke the premises’ licence to sell alcohol on 7 August.